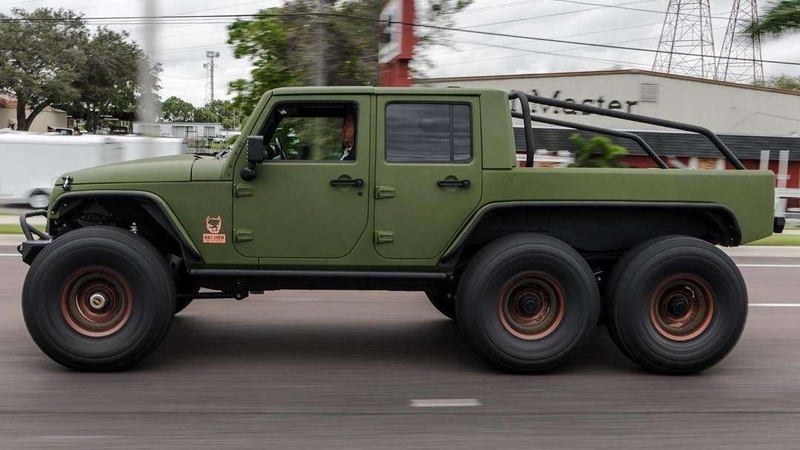 It’s hard to find excuses for missing out on something as big and awesome as this Jeep here but we’ll try anyhow: during SEMA 2017 our minds and souls were taken by Hennessey’s VelociRaptor 6x6. That is where the Bruiser Conversions Jeep Wrangler also made its debut. Florida-based Bruiser Conversions studio (Facebook, Insta) is the “industry leader in fully integrated engine conversions for the Jeep Wrangler platform.” In other words, they can install an LS3, a Hemi, or a Cummins Turbo on any of the JL, JK, and TJ body. For example, this three-axle Jeep JK runs a GM-sourced LS3 6.2-liter V8 good for 450 horsepower, 450 pound-feet (610 Nm) of torque. Not the most powerful Jeep we’ve heard of but definitely, a significant jump from the standard powerplant setup Jeeps offer. 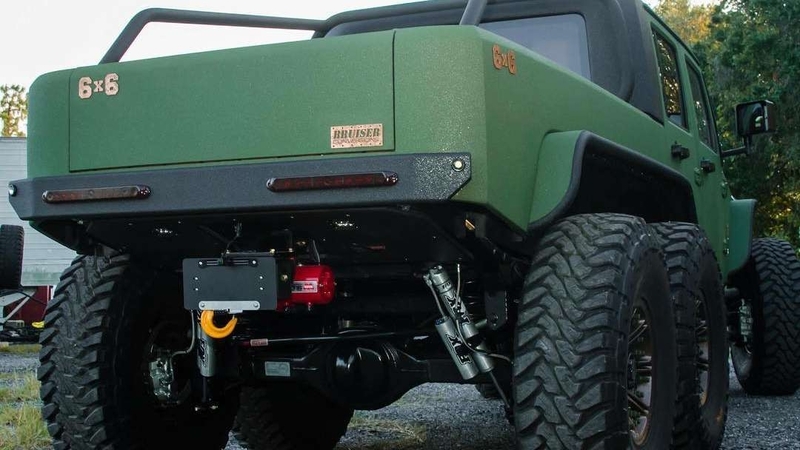 Besides the big lump in the front and the extra axle in the back, the Bruiser Conversions Wrangler boasts extra ground clearance, a special suspension setup, and some fat Mickey Thompson rubber shoes. SEE MORE: We all die eventually, so why not reach our resting place in this 6x6 hearse?